At last, our long, international nightmare is over. People all over the world are starting to receive the physical copies of Call of Cthulhu, 7th Edition nearly three years after the original Kickstarter began and two and a half years past the original release date. Hell, I’ve had the digital version of most of what’s arrived reviewed for about a year and a half. Thankfully though, everything has arrived and if New Chaosium canget over this hurdle, it might well survive (dare I say, even thrive). Still, I haven’t seen a Kickstarter done this badly since Palladium’s Robotech RPG Tactics, and in both cases, people have only received a fraction of the items they pledged for. Still, at least the importance stuff is here, even if New Chaosium used Bing for shipping, which is about as bad as using Ship Naked. What follows are twenty-eight pictures showing cases the Nictitating Nyarlathotep pledge level and what all you get…as well as the condition it came in. I’ll also include links to my reviews of the digital copies where relevant. Remember that if you like what you see here, you can always pre-order items via the BackerKit for Call of Cthulhu, 7th Edition. Now, let’s begin. The package as it arrived on my doorstep (as opposed to “The Thing on the Doorstep”, I suppose). 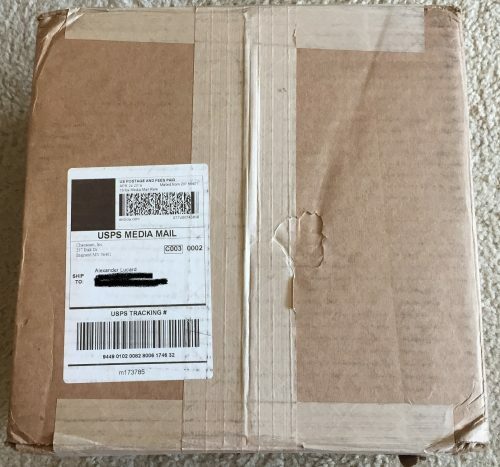 Notice it was shipped Media Mail and the condition of the box. Not the most promising of signs, is it? Here is the box immediately opened and holy hell, was this packaged horribly. Look at all the extra space in the box. It’s no surprise nearly every book has minor dings. Still, I got off really LUCKY compared to a lot of backers who have reported far worse damage, so I’ll just be happy these arrived at all. 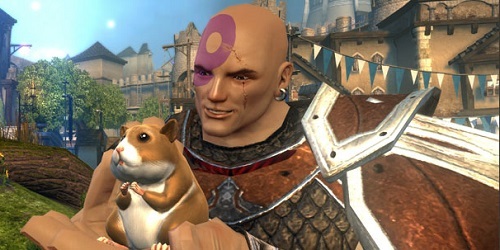 Honestly though, If I was ever stupid enough to back another CoC related Kickstarter that isn’t Golden Goblin based, if I learned Bing was the shipper…I would not back it no matter what they offered. 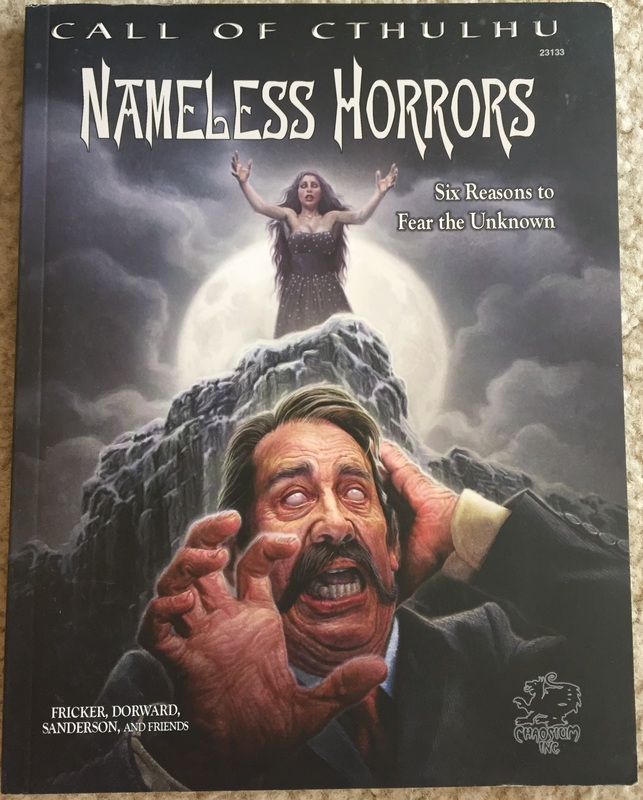 First up is Nameless Horrors, which was the last Call of Cthulhu thing I reviewed, nearly eleven months ago.Here’s a link to the review.. Book is in pretty good condition and it’s worth getting as four of the adventures are top notch. 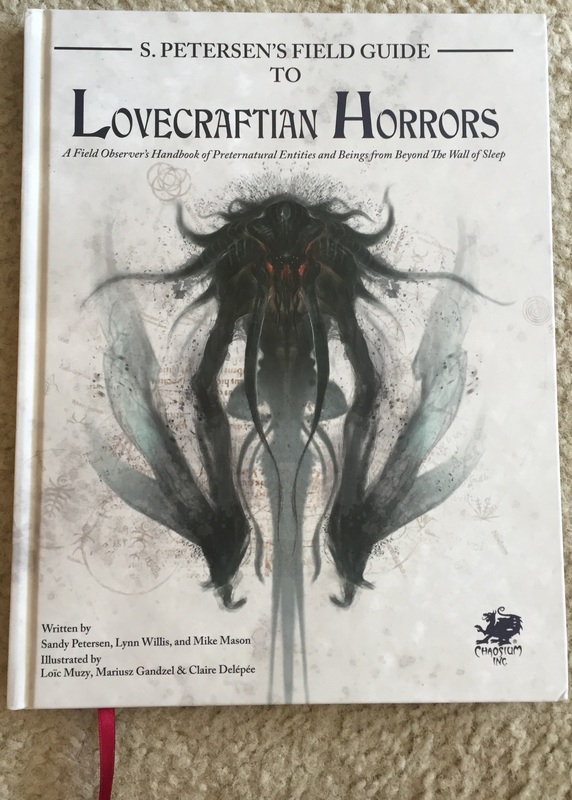 A nice hardcover version of Sandy Petersen’s Field Guide to Lovecraftian Horrors. Miniscule damage to the spine. GREAT cover. An inside peek at Sandy Petersen’s Field Guide to Lovecraftian Horrors since I didn’t review the digital version(s). Amazing interior artwork and enjoyable by even non-gamers. 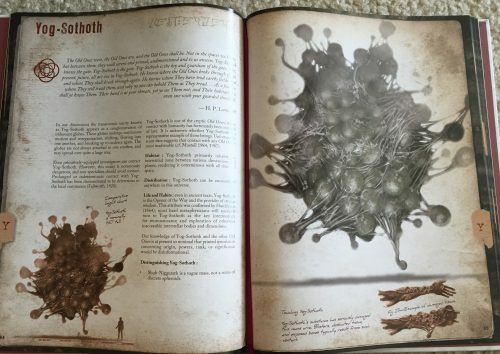 You don’t need to have ever played any sort of RPG or had any experience with the Mythos in the slightest to read this. Very well done. 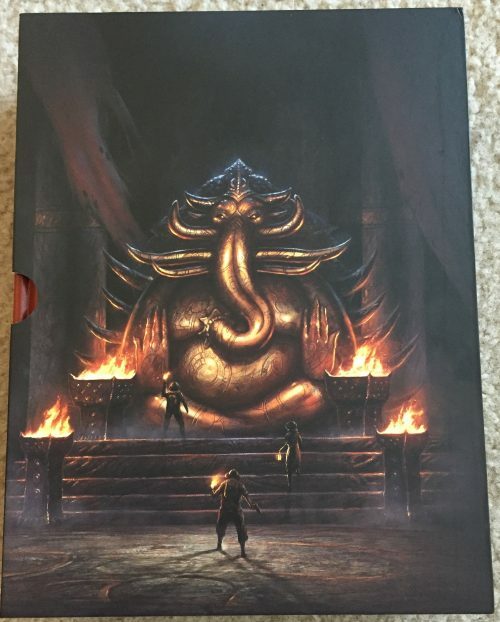 The Keeper Rulebook for 7e CoC. Same cover problem. DO NOT BUY. 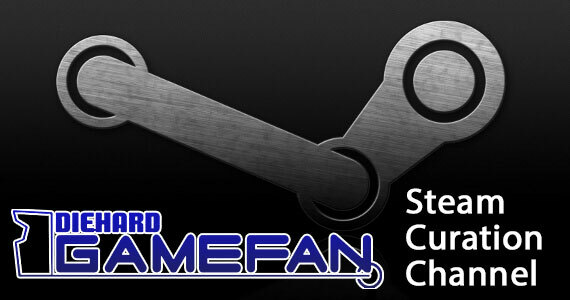 Link to my original review from December, 2014. So here is an inside peak at the Investigator Handbook. 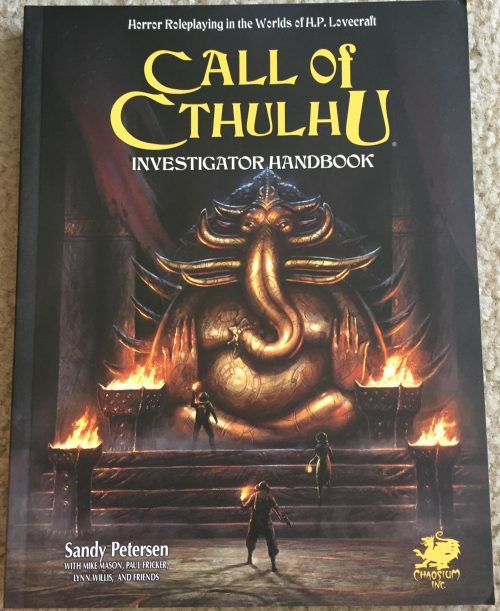 As FURIOUS as I am over the utter lack of quality regarding the cover materials, the interior of Call of Cthulhu has never looked better. The paper stock is decent, although not as good as the 20/30th AE editions of the game, the art is fantastic, the layouts are easy to follow and everything is so crisp. 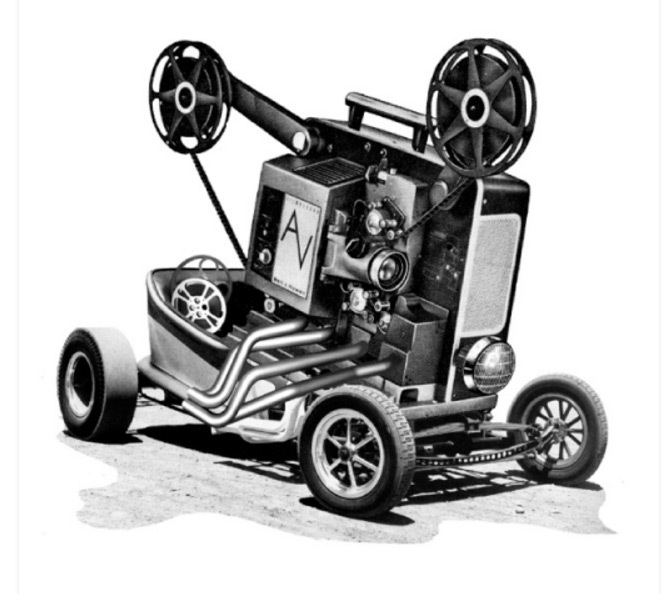 Plus – FULL COLOR. Holy crap, this is fantastic. 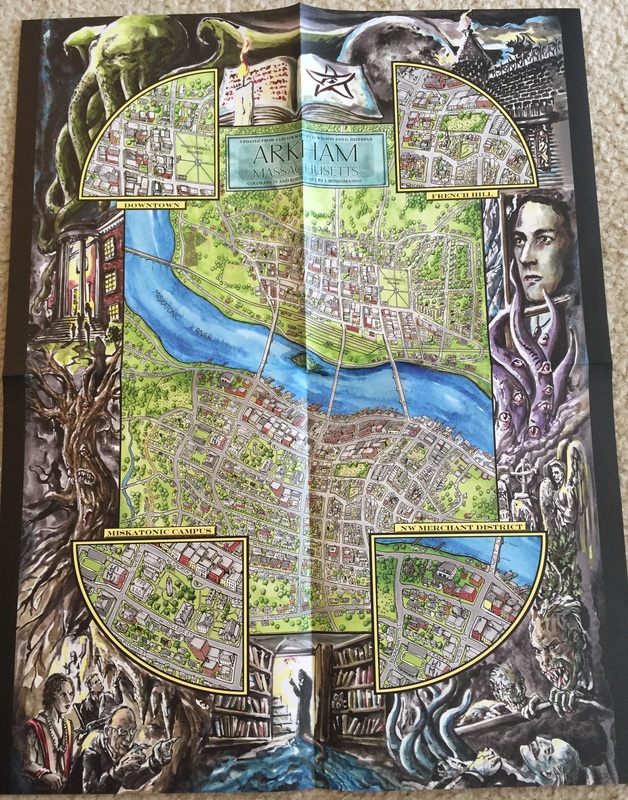 This is why you should spring for the hardcover versions. Don’t make the same mistake I did thinking you will get a regular softcover book ala a Warhammer army book or old Shadowrun sourcebook. The books are worse the cover price just to read and look at the pics, even if you never play the game. Just like I have said repeatedly now, don’t get the paperback versions of these. A double page spread from the Keeper Rulebook. Again, the art is fantastic. This is by far the best CoC has ever looked in English (There are some snazzy French editionsalmost on par with this). 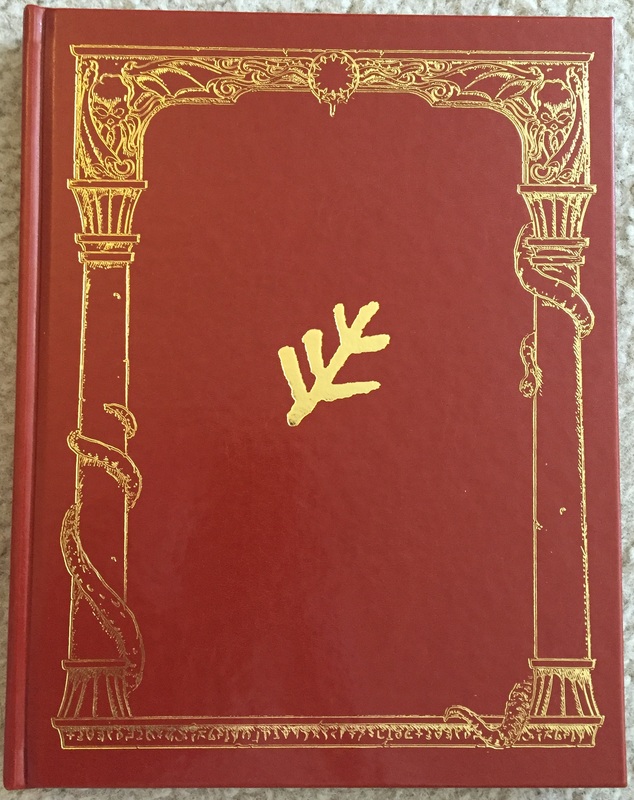 Now for a teaser from the centerpiece of this release – the slipcase for the Leatherette version of the books still in its shrink wrap. You’ll notice something stuck to the underside of it. That’s the Keeper Screen and various maps. 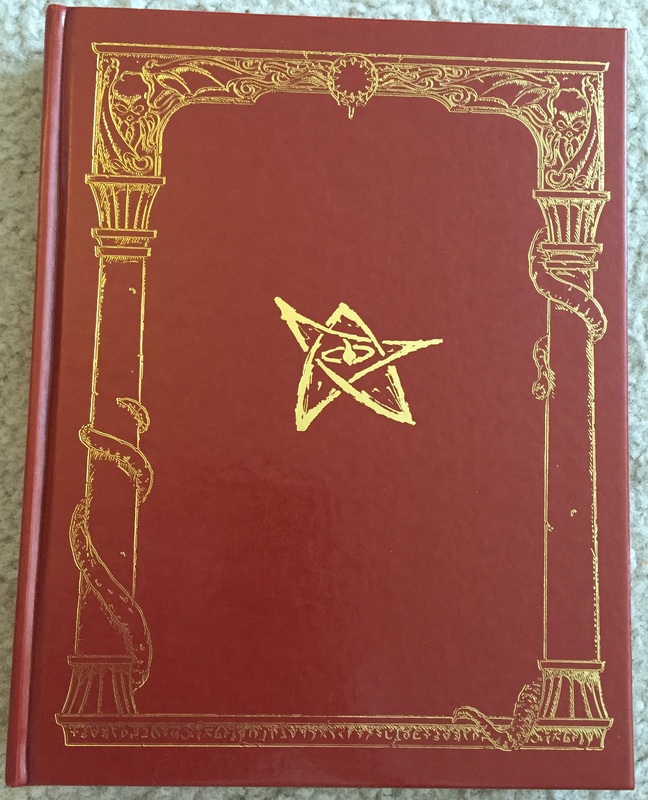 Why its not in the slipcase will soon be made apparent. Have some patience! Here is the Keeper’s Screen in it’s wrapper. 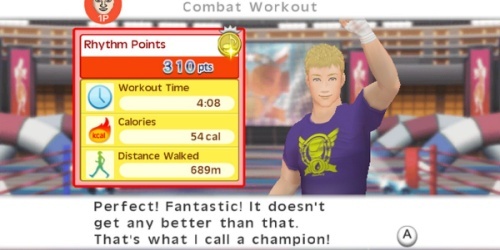 I did a review of the digital version in November, 2014. Here is the players’ side of the screen unfolded. Again, this is some gorgeous, gorgeous art. This is the Keeper’s side of the screen. All of sorts of rules and quick reference points for you to use instead of flipping through the actual book and risking the tearing of the covers. 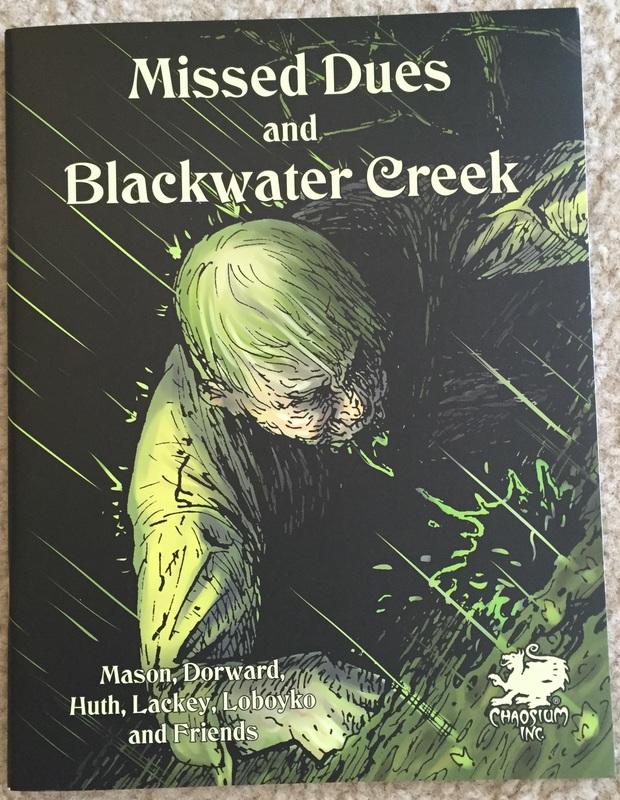 Missed Dues and Blackwater Creek and the two adventures that come with the Keeper’s Screen. I covered those in my review of the screen, which I linked above. 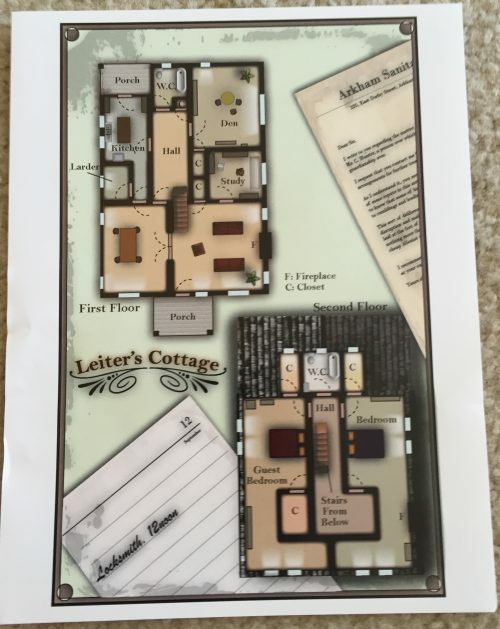 A map of a building for one of the two adventures in the Keeper’s Screen. Again, some fantastic full color artwork. 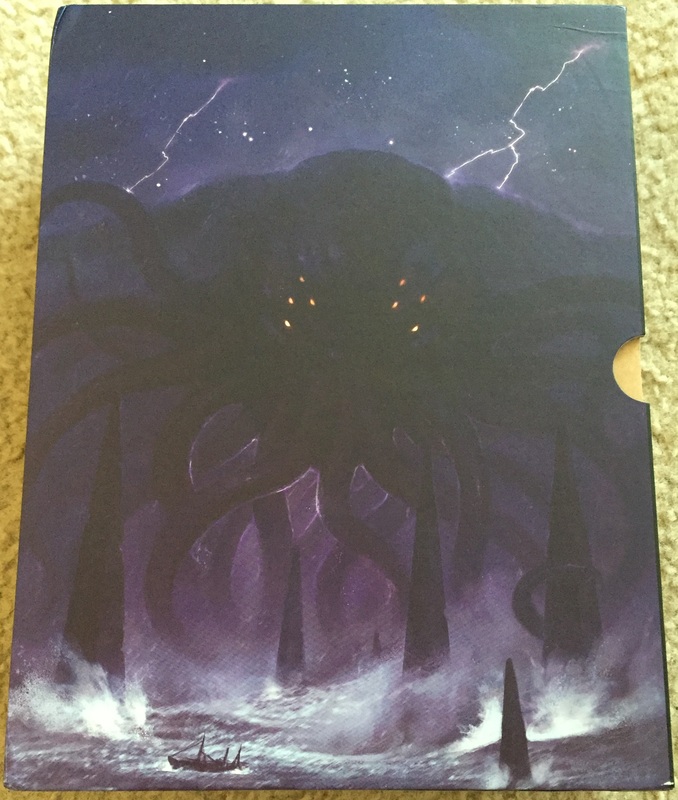 Everyone has their favorite edition rules-wise, but it’s almost impossible to deny that 7e is the best LOOKING edition of Call of Cthulhu. A small reference book containing an index and also quick stats for things like Mythos tomes. A weird inclusion, but easier than flipping through the actual books I suppose. 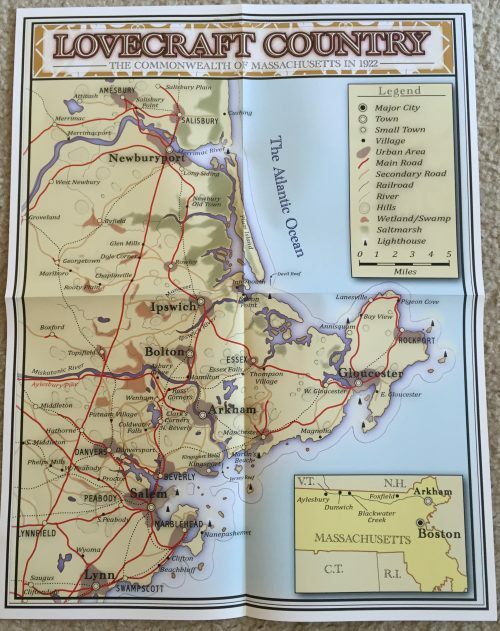 A map of Lovecraft Country. Very cute. A very stylized map of Arkham, MA. 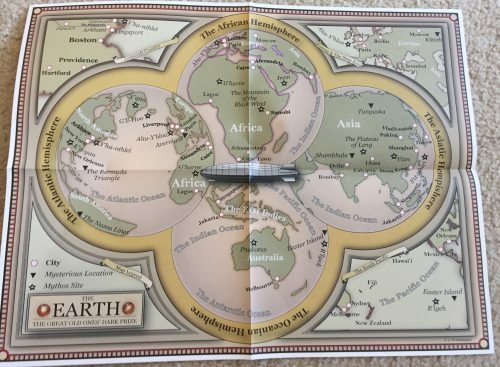 A map of the Earth with major Mythos locations included. 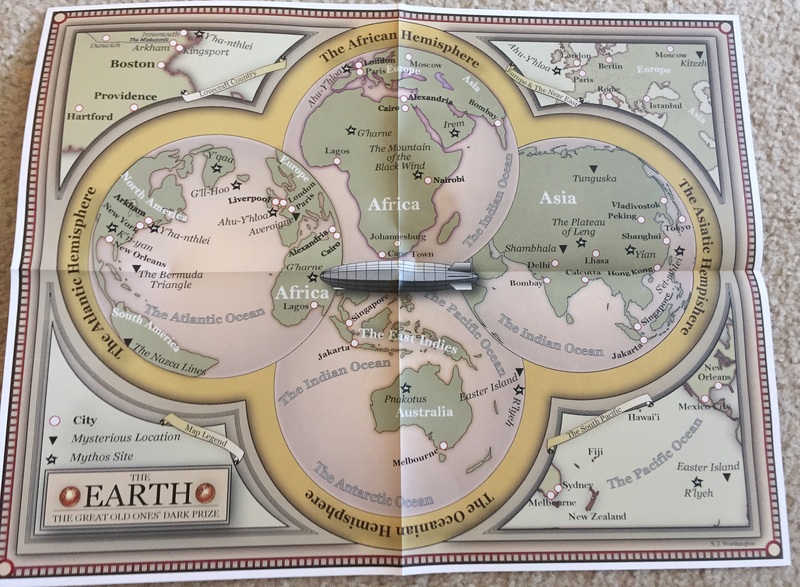 One side of the Slipcase, now unwrapped and unleashed upon the world. The inside of the Slipcase where the books dwell. Yes, that is cardboard shoved in there. Why? Because they made the case too big for the books by themselves, but not big enough for the Keeper’s Screen and all it’s parts. You basically have to removed everything but the actual screen for it to fit in there, which means you’re going to need a folder for all those maps and handouts unless you want them folded, spindled and torn. Bad planning here. The other side of the slipcase. Here is the leatherette version of the Keeper Rulebook. Again, this was supposed to be the fantastic green of the 20AE edition after enough people pointed out during the Kickstarter that the red versions didn’t look as good as the previous leatherettes. Unfortunately it’s the same bad red color Catalyst Game Labs used for some of its premium Shadowrun editions. 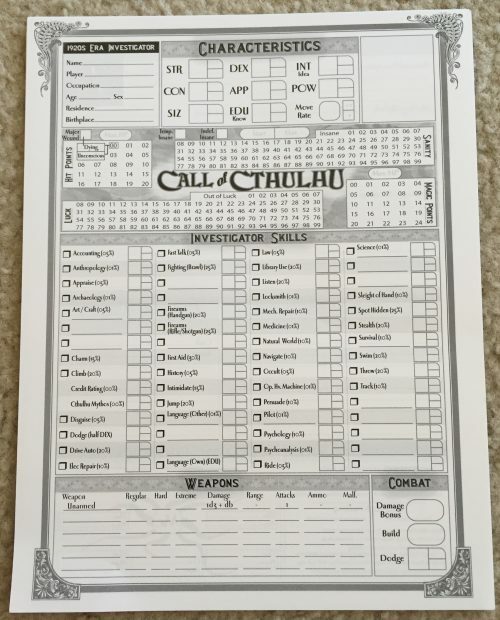 It’s just very underwhelming and not attractive, especially compared to the 20AE and 30AE versions of Call of Cthulhu. Why the current Chaosium team flip flopped on this is unknown and doesn’t make any sense. Still, bad color aside, the actual art in gold foil is very snazzy and the cover is of the highest quality. I just wish the thing wasn’t so ugly color-wise. 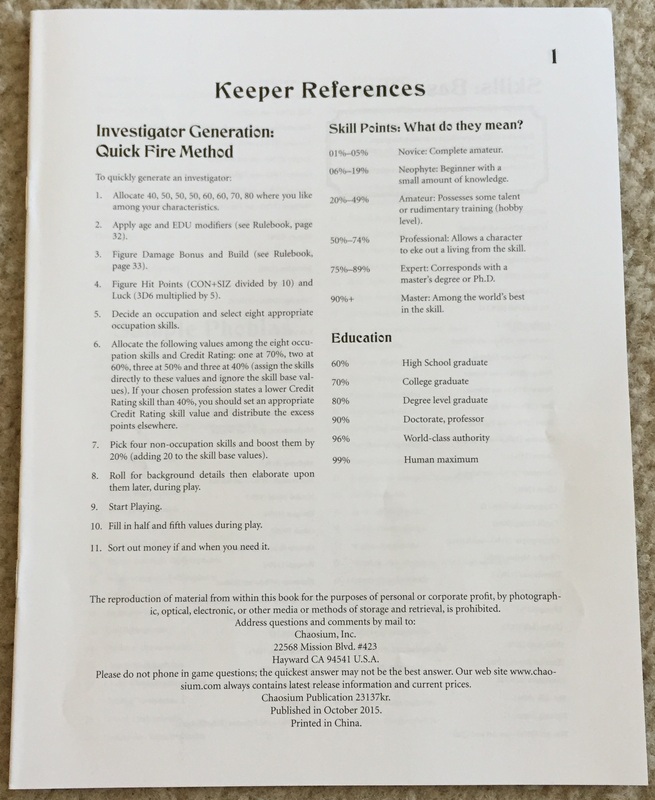 Here’s the leatherette version of the Investigator Handbook. Same complaints and compliments as with the Keeper Rulebook. Here are both leatherettes side by side. Again, bad color choice, but fantastic use of gold foil. Here are the 73 leatherette versions with their old sibilings. 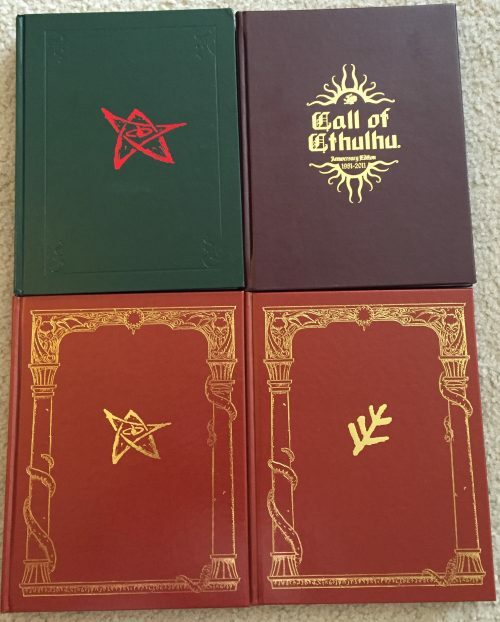 The 20th AE edition of Call of Cthulhu in green and the 30th AE edition in Brown. The earlier leatherette versions are bigger, wider, better looking color-wise and have very different interiors since they are 5.5 and 6th edition respectively. If you want to learn more about those, you can check out the comparison piece I did on them back in 2011. Again, I don’t mean to be a Debbie Downer, but if they had done the green leather with red foil of the 20AE with the art of 7e, it would have been perfect. Still, color is EXTREMELY subjective and I’m sure there are some that think the red leatherette covers are the best of the three versions color-wise, so don’t mind my petty bitching and moaning. Finally, we have both leatherette versions back in the slipcover along with the Keeper Screen in its original wrapping to keep it safe. 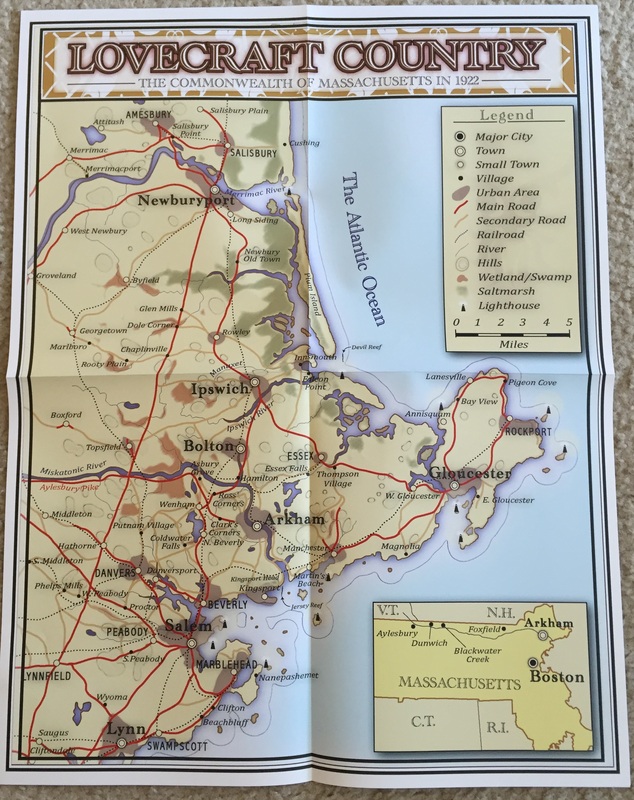 Now tog et a folder for all those maps and handouts. Sheesh. 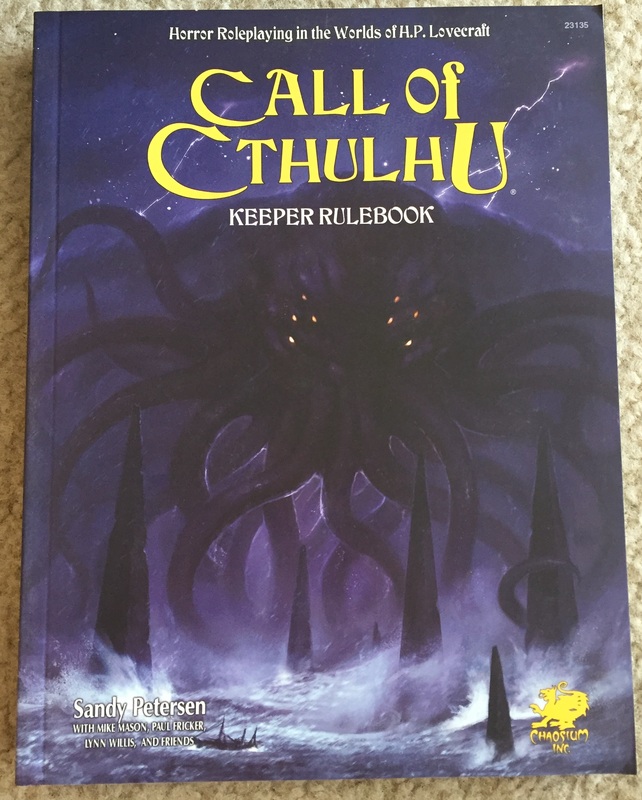 So overall, much like Call of Cthulhu, 7th Edition and Chaosium as a whole, there is a lot here to be happy with, but also a lot of disappointment and annoyance. There is still a second half of releases for this Kickstarter to go but only time will tell if the new team behind Chaosium will get them out to backers or if things will go the way of Robotech RPG Tactics. This will be a make of break for Call of Cthulhuwith how things are handled from here out. I’ll be honest and say I’m not happy with everything that has happened, but much like with The Doom That Came to Atlantic City, a horrible Kickstarter was saved by a new publishing team and made good on promises they didn’t even make in the first place, and for that I’m exceptionally grateful. I’m not happy about Bing’s lackluster skill at shipping books or several aspects of the physical releases, but they’re here and that’s what matters. Now, I probably won’t buy anything from Chaosium again until the rest of my order (and everyone else’s) is released. I will however stick with a lot of third party releases for CoC, which pains me as I’ve been a writer and reviewer of Call of Cthulhu since…holy crap, 1992. 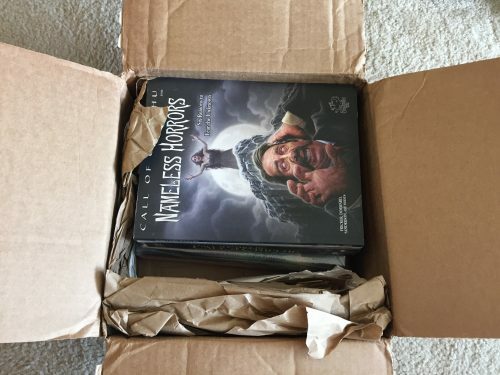 Still, it’s not just Chaosium (either version) that has had problems getting their CoC Kickstarter releases out the door. Pagan Publishing’s Horrors of War is stuck in development hell. 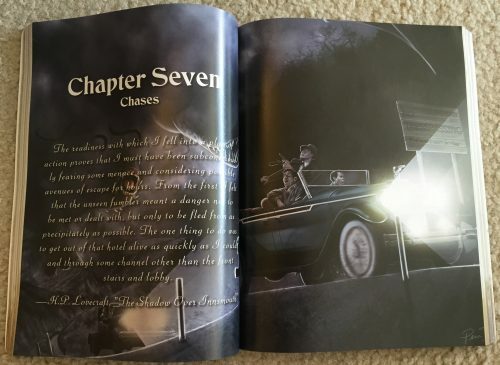 Stygian Fox Publishing’s The Things We Left Behind had a few small road bumps. Golden Goblin Press’ Tales of the Carribean is slightly behind schedule and RAFM’s CoC miniatures Kickstarter finally went out to backers after delays as bad as the 7E one. What I’m trying to sayis the CoC based Kickstarters seem to have had issues regardless who put forth the crowd funding effort. At least New Chaosium made good on Old Chaosium’s promises and for that, they deserve gratitude and a little slack, but not a full “Get Out of Jail” free card due to the paperback covers. Ugh. Anyway, if you like what you saw here, remember to go scroll back up to the top and click on that BackerKit link. 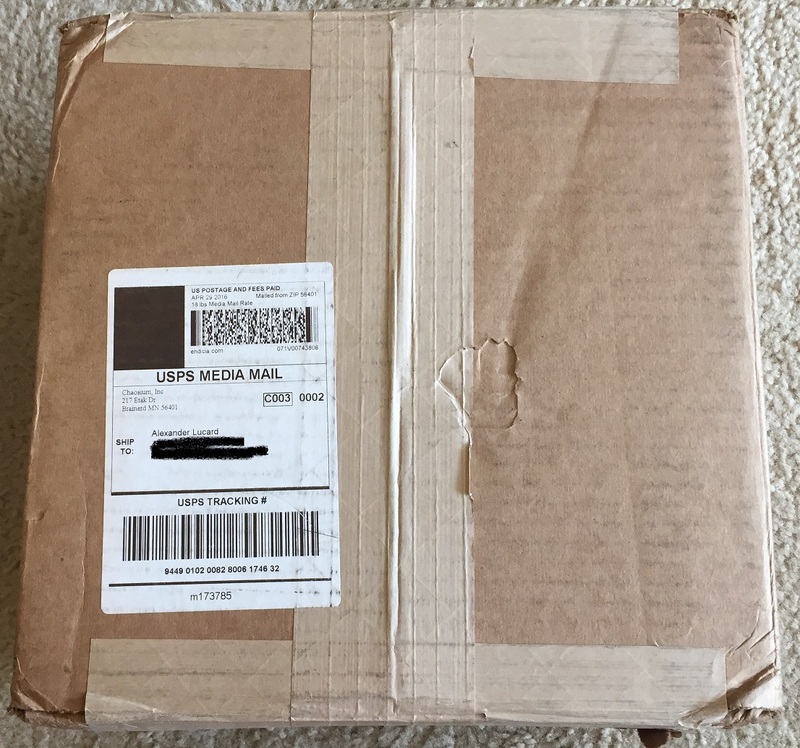 Thanks for the unboxing review! I also pledged NN but haven’t received my package yet. 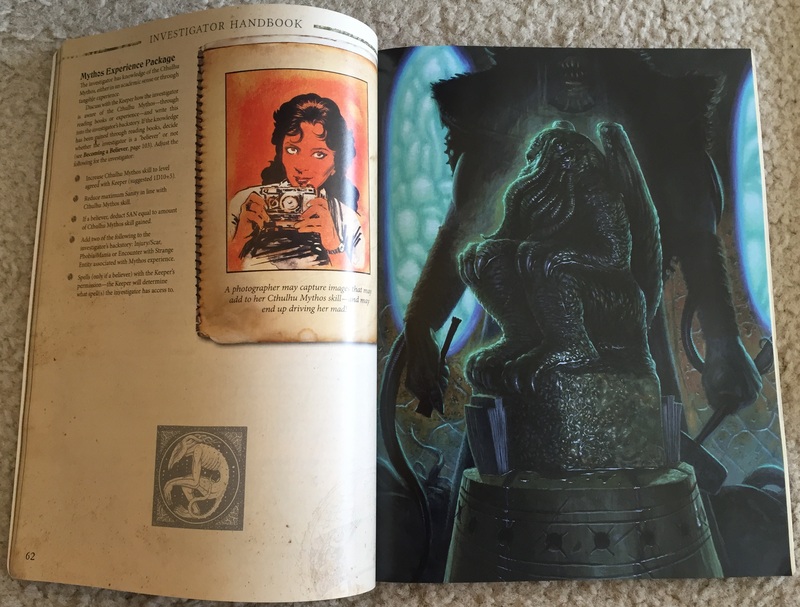 The emails from Chaosium re: damaged books has me worried, but it looks like you lucked out. Yeah, I mean, mine have some damage, but it’s barely noticeable and is akin to regular use shelf damage, so I didn’t feel like I could really complain compared to what has happened to other people’s editions. I’m hoping your leatherettes arrive unscathed. Wow, what a mess. The german translation of 7e came out one year ago. 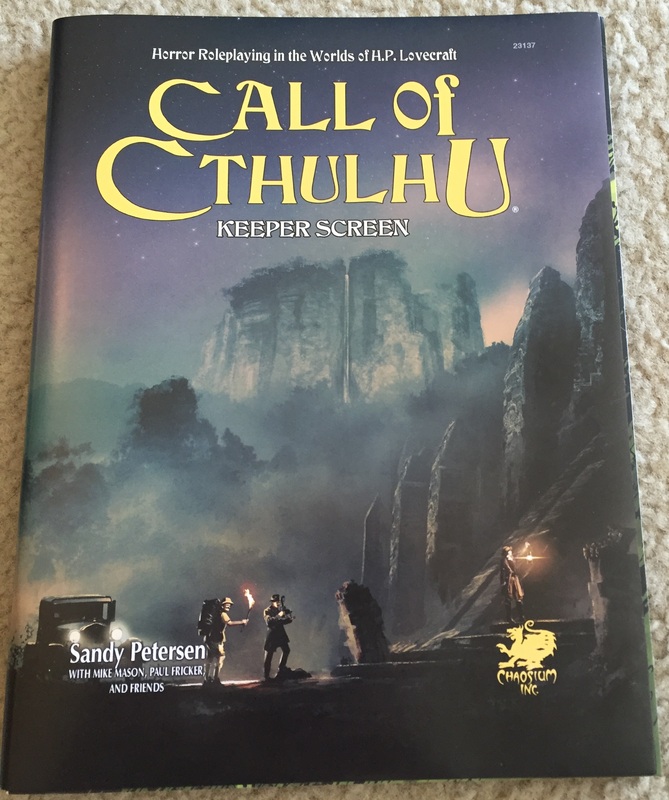 It’s a straight translation of the chaosium version and Including same layout and art. It costs 20 bucks for keeper and 12 for investigator, both hardcover.